Wadler's Blog: Can you be arrested for sharing a link? Can you be arrested for sharing a link? 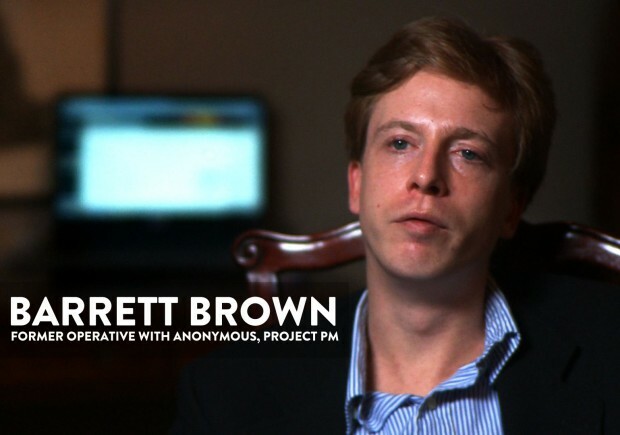 In 2010, Brown launched Project PM, a group effort billed as a crowdsourced investigation into the “surveillance state.” When Lulz Sec hackers stole some 70,000 emails from security firm HB Gary Federal and posted them online in February 2011, Brown and fellow Project PM members went to work, uncovering a coordinated campaign to discredit Wikileaks and journalist Glenn Greenwald, among other serious revelations. Later, in December of that year, Anonymous posted more than 5 million emails swiped from intelligence contractor Stratfor Global Intelligence, which were read and mined for information by Brown’s Project PM. Those emails contained a slew of revelations, including talk among Stratfor employees of renditions and assassinations. During the Stratfor investigation, Brown shared a link to the stolen company emails in an IRC chat with other Project PM members. The documents contained some 5,000 credit card numbers and other personal information of a slew of individuals. Two months later, prosecutors charged Brown with 17 crimes, 12 of which are related the identity theft – all because of that link he shared. Brown did not hack any computers. He did not steal any information. And none of the charges he faces allege that he did. Brown simply shared a link that contained stolen data – something journalists, and many other people, do online every day. He faces up to 105 years in prison. Digital Trends: Can you be arrested for sharing a link? Maybe. Rolling Stone: Introducing America's least likely political prisoner. Demand Progress: Tell the Justice Department: Stop the war on journalists, free Barrett Brown. I understand what this blog post means to say, and agree with it. I do however get concerned about the way legal matters are viewed by a lot of the online population. The question whether you can get arrested for sharing a link is a sort of legal reductionism that misunderstands the way law works. Consider the following hypothetical. Let us say you befriend a person with severe epilepsy, gain their trust, but for some reason or another are out to harm them. You search the web until you find a page/video with flashing graphics designed to provoke seizures, and send them the link with the intent of harming or killing them. This is clearly a crime. It does not matter that you didn't create the content that harmed them, your intent to harm them and the action you took to harm them is enough. No legal systems enumerate all the atomic acts you may and may not take, because such a system would be much too fragile and full of holes. The issue at hand in this situation is not about sharing links, it is a far more abstract question of free speech. It may be unfortunate that the more complete and well-founded argument is not quite as good a soundbite, but on the other hand it is rather important to understand, and clearly state, why we believe what we believe.